Welcome to the lab: Daisuke Tanabe mans the turntables during Dublab's weekly broadcast at Cafe Malmö in Tokyo. OSAKA - As cities, Tokyo and Los Angeles could not be more different. With its year-round sun and wide-open spaces, Los Angeles poses a stark contrast to Tokyo, where buildings are swallowed up by bigger buildings and even the tiniest spaces are a precious commodity. But as creative places, both cities resonate with one another as creative partners. Over the last decade, a compelling relationship has developed between a generation of forward-thinking artists. One of those is the LA-based Dublab, a listener-funded Internet radio station that launched a Tokyo broadcast in January. Throughout the year, Dublab broadcasts a mix of electronic, folk and ambient music. The organization functions as an art collective and label, too, making records, events, and mixed-media art projects with groups in LA and elsewhere. The nonprofit, which was founded in 1999, has been a stomping ground for many influential artists of the last decade, with musicians such as Mia Doi Todd, William “The Gaslamp Killer” Bensussen, Carlos Nino, and Jimmy Tamborello (of The Postal Service) among its collaborators. 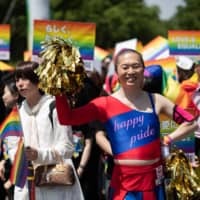 Years of broadcasting noncommercial radio, putting out records and proactively reaching out to music communities abroad helped develop a devoted audience in places such as Japan, according to founder Mark “Frosty” McNeill. Mayumi Takada discovered Dublab’s affiliated artists in the early 2000s. Now she goes to LA several times a year to purchase music-related goods for her shop, Loser, in Osaka’s Namba neighborhood. 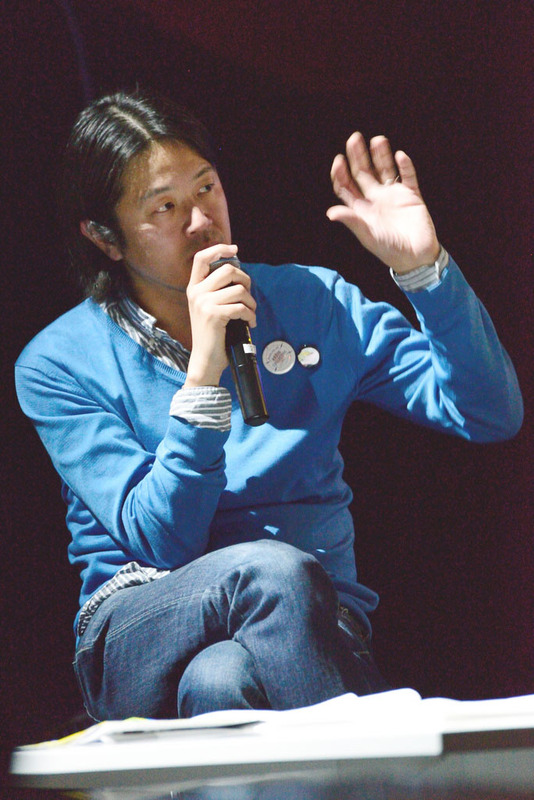 Masaaki Hara, a Tokyo-based journalist, record-label owner and event organizer, first met Dublab’s McNeill and Elvin “Nobody” Estela in the late 1990s. Through Bharoocha’s relocation in 2006 to LA and Hara’s work in Tokyo, the Japan/LA relationship gradually blossomed. For the 2008 Web-exhibition, “Into Infinity,” artists from Japan, LA and elsewhere contributed eight-second musical loops and 12-inch circular illustrations to be shuffled together at random. Following that was the Dublab film project “Light from Los Angeles,” in which Tokyo-based boutique camera manufacturer Powershovel distributed cameras to Los Angeles musicians, who shot short videos alongside new original music. 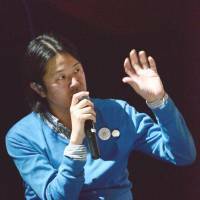 These films were then screened last year around Tokyo. 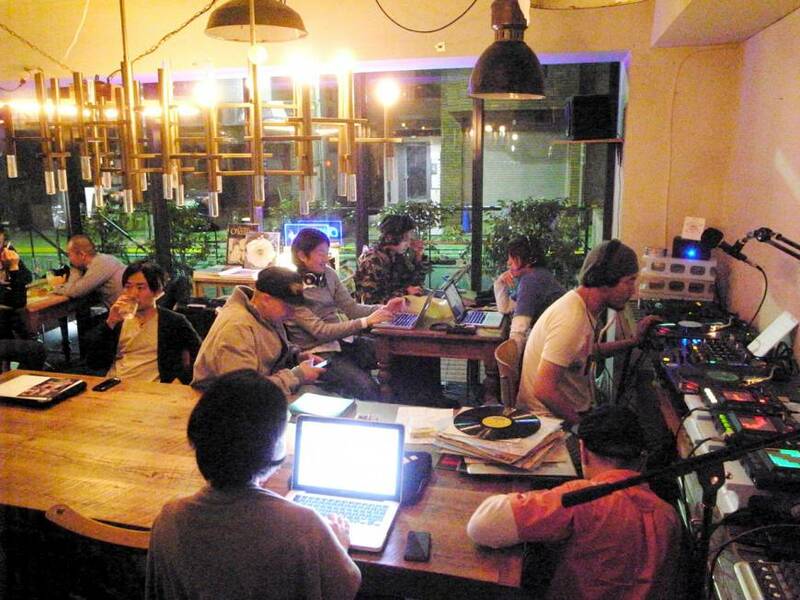 Finally, this year, Dublab launched a weekly two-hour show broadcast in Tokyo. DJs Shhhhh, Eharamen, Yakenohara, and Sagaraxx are among the frequent contributors to the broadcast. 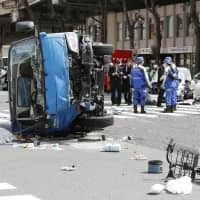 Among the first of its kind in Japan, Hara says establishing this noncommercial radio format presents several challenges. Dublab is also organizing special events, such as the recent “Beacon in the City” night held at Roppongi Hills, which featured performances from Tokyo-based electronic musicians Daisuke Tanabe and Yosi Horikawa, and additional live performances and DJ sets from LA-based artists broadcast live from Dublab’s studio. This creative approach to organizing, characterized by mixed-media and cross-cultural collaboration distinguishes Dublab as an arts organization, and has provided a channel for artists to make transcontinental connections with one another that resonate as meaningful personal experiences. 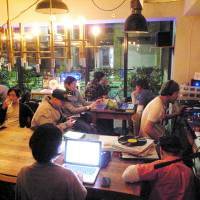 Dublab broadcasts every Wednesday from 8 p.m. till 10 p.m. at Cafe Malmö in Meguro-ku, Tokyo. Admission is free. For more information, visit www.dublab.jp. The Proton Drive, Dublab’s biannual fund-raising event takes place May 13-31. Four commissioned shirts by Japanese designers are being manufactured as part of the drive. Elvin “Nobody” Estela will play the Dublab-related party “Low End Theory” at Unit in Tokyo on May 25 (11 p.m. start; ¥3,500 in advance;  5459-8630); and Osaka on May 26 (9 p.m. start; ¥2,500 in advance;  6241-3822. For more information, visit www.lowendtheory.jp.